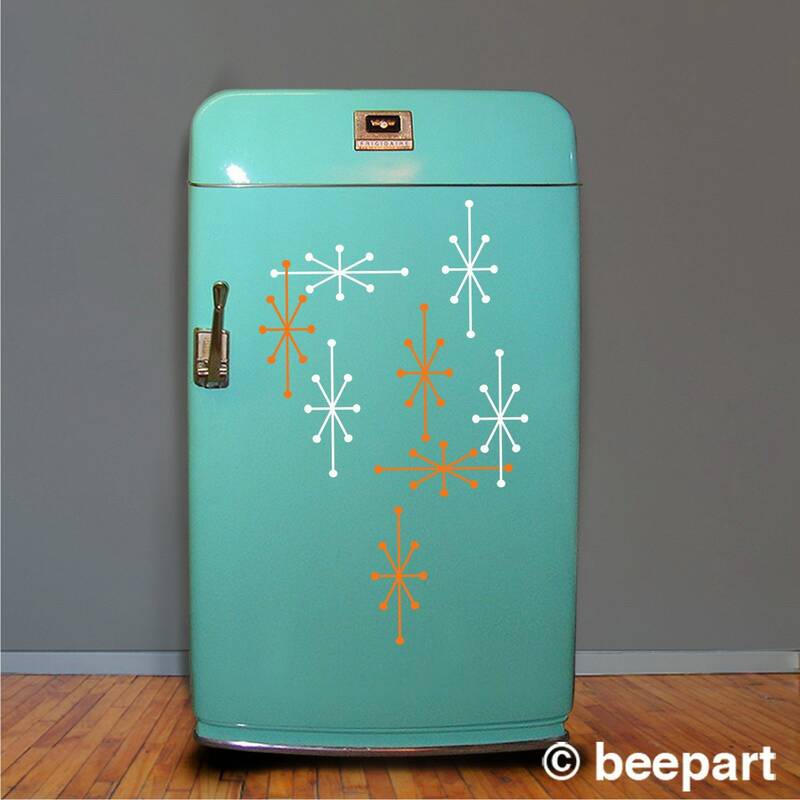 Brighten up an old fridge or give a new one some vintage flair! 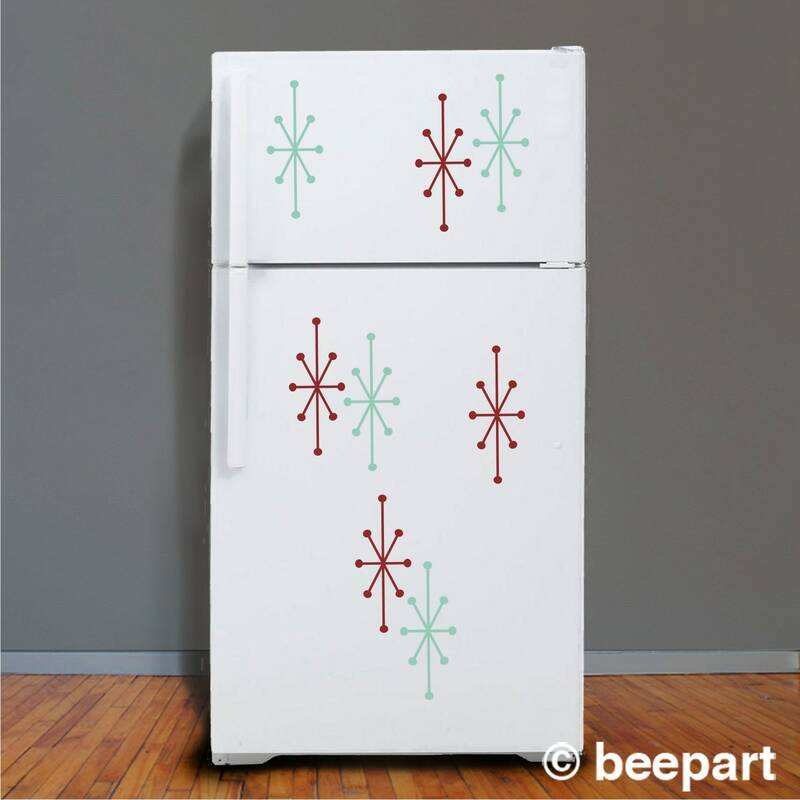 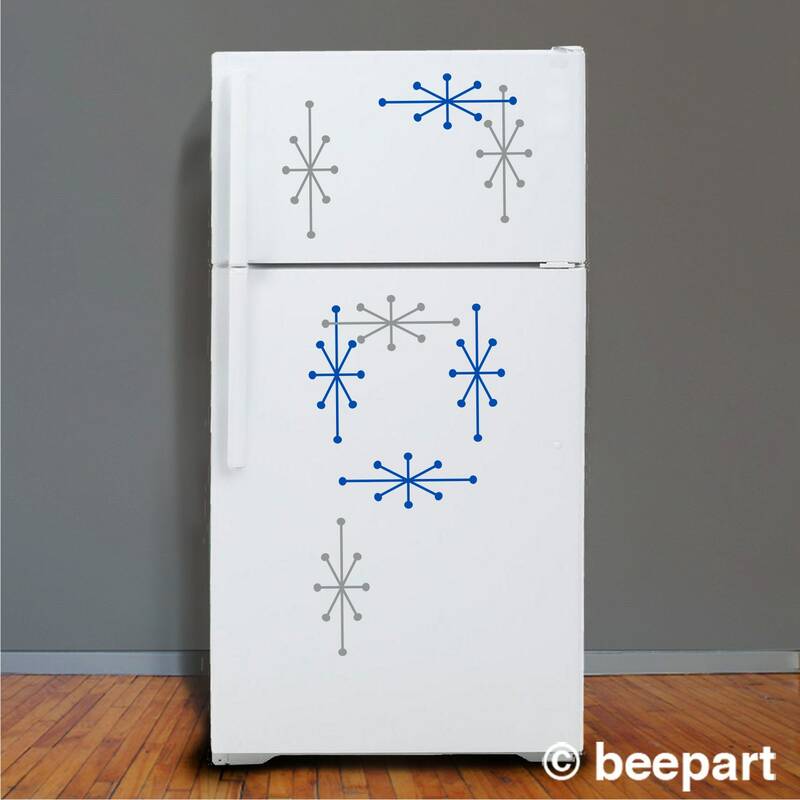 Our mid-century modern inspired atomic starburst refrigerator stickers will work on refrigerators, walls, glass and just about any smooth surface in the home. 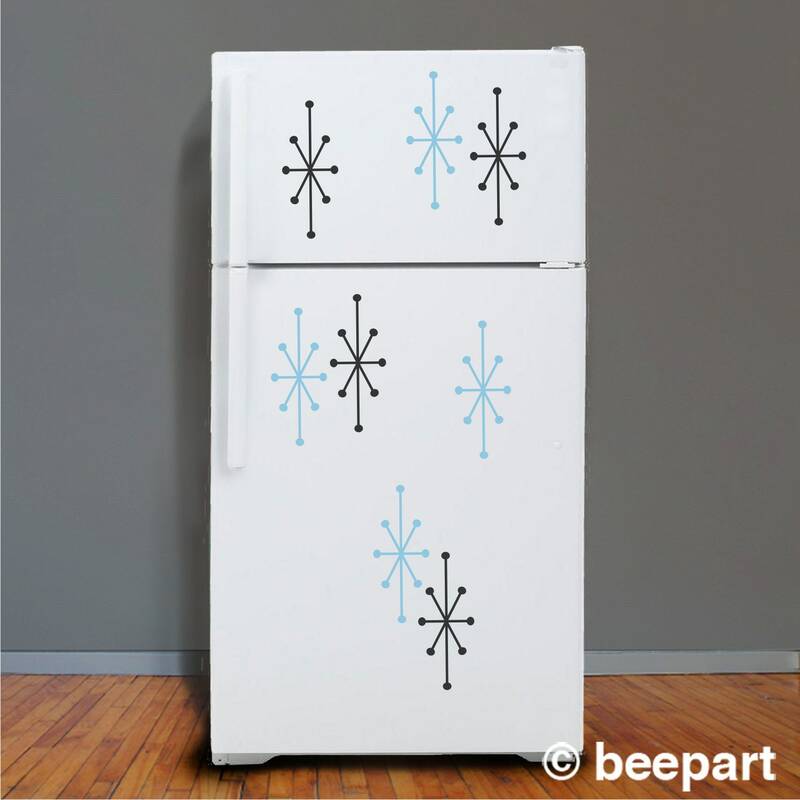 Water-based adhesive is safe and easily removable! 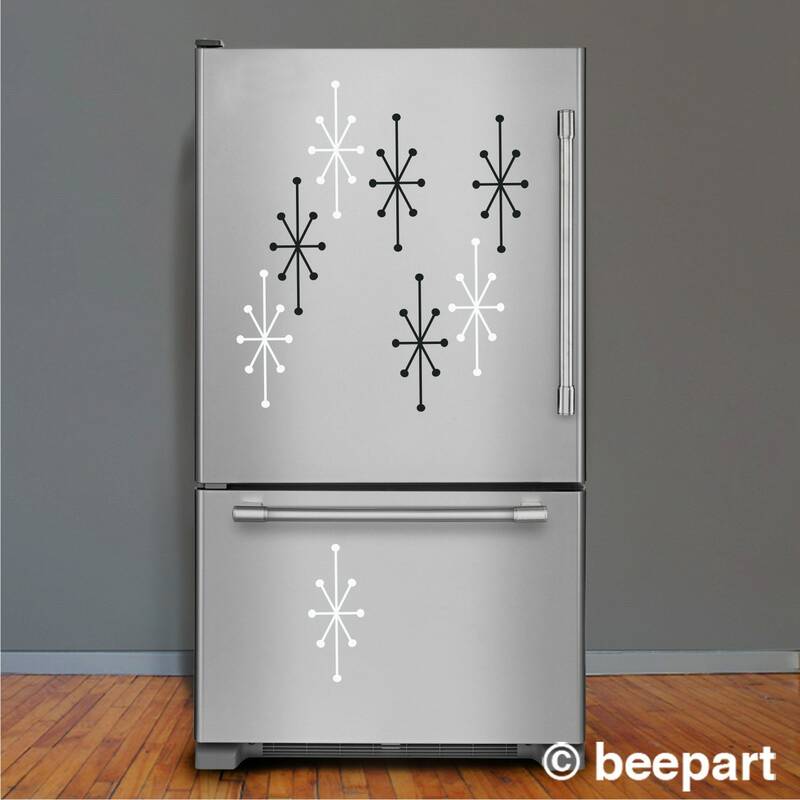 This set comes with 8 individual starburst vinyl decals in two colors, each measuring 4.5" wide by 11" tall. 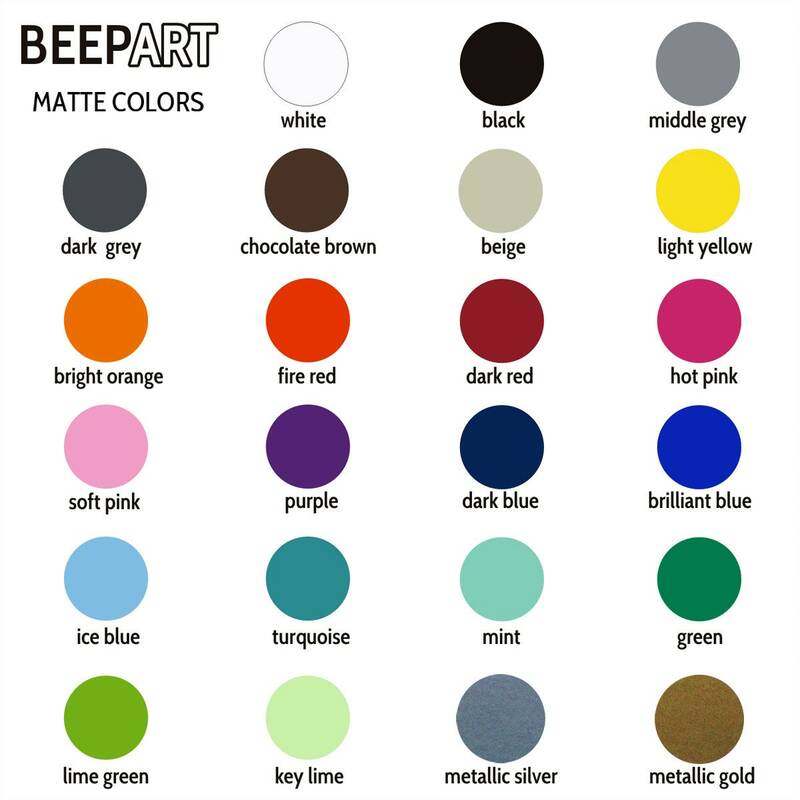 *We can make custom sizes, please contact us for details.